On 01/01/1995 I woke up after a ‘vivid astral dream’ the type I started getting due to at that time having practiced NSA (Nichiren) Buddhism for almost 10 years. Astral Dreams or vivid dreaming is a side effect of intense Buddhist Meditation for many. Steve Jobs is another example of visionaries that had astral visions from heavy Buddhist meditation techniques such as that which I have done now for almost 30 years. After I woke up I went to my ‘Buddhist Shrine’ that morning and took it down immediately. It was no longer relevant in my life, my dream of the eve of 01/01/1995 was enough for me to see ‘the truth’ as to what this ‘universe’ was or is. A big computer and it’s all fake or a simulation. So I started to write about my ‘dreams’ and how the future was easily seen in my ‘dreams’. It was right at the beginning of the commercial internet and my various web sites started to get huge traffic counts as I foretold the future to my fans around the world. It was not uncommon for over 1 Million pages to be downloaded in those days from my network. My visions or prophecies were becoming part of the legend of the early net. In mid April of 1995 I started to ‘fax’ the editors of the top 60 media outlets in the USA at that time, all the big papers and major TV news companies, such as the NYT, LAT, WP, SUN, NBC, ABC, FOX, etc., my April 19th Alpha Big Bang warnings. For three days I sent all 60 editors faxes about THE BIG BANG of 4/19. The fact was only days before the Big Bang of the Oklahoma City Bombing had occurred I was giving exact details of the event to every major editor in the USA. Sure enough the morning of 4/19/1995 the BIG BANG occurred and the ALPHA faxes made sense. The ALfre P. murrAH building was the target and ALPHA the code name on the faxes hit 100%. The morning of 4/20 I walked out of my crib in the heart of ‘Society Hill’ in Philadelphia and I went to eat my usual breakfast in the area. I noticed immediately at least 50 FBI or NSA agents all ‘tailing’ me. They were stationed everywhere. Every corner of my little area of Philadelphia had guys with sunglasses in suits reading papers standing where nobody ever stands. Headhouse Square was literally spook central the morning of 4/20/1995. So I eat my breakfast, go back to my crib and do some evasive tactics to try to loose 50 agents. I went down some ancient alley’s I knew about that some flatfoots not familiar with one of the oldest areas of the United States would know about, then I took some little alleyways to my general area and didn’t go in through the pedestrian locked gate to the large complex of condos I lived in at that time. I slid into the development via the garage entrance by using a code for the locked garage door and then went up into the development and my condo was literally the first unit next to the stairway I used from the garage to the surface area of the development. I packed some clothes and books into a large leather type duffel bag and went to the garage basement and threw the bag into the trunk of my Mercedes coupe sports car. I left my secured parking area and took a few turns and I was on a major road of out Philadelphia I-95 pretty quickly. I headed North and then took Woodhaven Rd to Route 1 and got on the PA Turnpike. I was headed west to Oklahoma City to see the carnage in Oklahoma City for myself. Around Gettysburg I decided to see if any flatfoots was following me, so I turned the Benz in the direction of Gettysburg and I stopped at some religious site a famous cemetery for the area. A group of ominous dark clouds were brewing and I walked up the steep hills in the area to where all the religious shrines and monuments were. A bunch of penguin nuns were in groups and doing their homage to a ‘holy place’ I guess. The dark clouds parted and a bright beam of light shone done on me as I cursed out the graven image of the ‘perfect servant’ that the story of Jesus was based upon. A small group of nuns started to make the cross over and over as they prayed to their graven image and heard me cussing him out and the winds kicked up as I confronted the huge graven image on the cross and berated it for damaging so many souls the past 2,000 years with LIES. After berating the holy shrine and mocking statues of the false virgin and other so-called ‘saints’, I left the area and the nuns by then had all fled in terror as they saw a bright clear blue sky darken as soon as I make my entrance shouting and cursing the graven images of the false religion that is Christianity. So I jumped into my Benz and head west again. I stopped at one of the food stops and got some fruit and a bagel from the stop and when I got back to the Benz I caught a typical flatfoot fro the FBI looking at my car. We exchanged some small talk about the car since it was a rare Benz that most had never seen close up. I continued my westward journey and stopped to spend the night in a small motel. I fell asleep listening to CNN reports about the terrible tragedy of the OK City Bombing. A few hours into my sleep I awoke in the bed of the hotel room and my body was frozen as I watched a few ‘greys’ in the room with me who were doing something like a surgical procedure to my eye. I awoke again a few hours later and for the next year of two my left eye was a ‘guide’ to what I was meant to read with some ‘assistance’ to the ‘greys’. I could walk into a book store and immediately a little light started popping me leading me to obscure books I was meant to read. The light would pop and pop and eventually I would have a book in my hands and as I opened the pages a light would pop to start at a certain page and then the light would pop on the paragraph I was meant to read. I was being ‘guided’ with ‘grey technology’ to read obscure information and use it for my own writings on religion and UFOS and topics such as math and physics. After a couple of years the little popping lights stopped and now my writings are pretty much influenced by the 1,000’s of books I have read in my huge personal library and from my vivid dreams of the astral realm. When I stopped to rest in Tucumcari New Mexico I was awakened in the middle of the night. I went outside to see what was bothering me and I noticed some ‘men in black’ were watching my room. So I stroll to a 24 Hour convenience store in the area and the clerk in the store was a telepath. We didn’t speak but I told him telepathically I was there to see their ‘leader’. A few minutes later the squad car of the ‘sheriff’ pulled up and he telepathically asked me to go to his ‘jail’. I went with him and inside the jail some tribals or natives were working and they proceeded to ‘book’ me. I laughed and said do you realize who I am? And whom I represent? The native smiled and said their ‘leader’ would be there soon. As I sat in a cell without charges, I then began to ‘commune’ with their ‘leaders’ who appeared only telepathically to me. I showed the ‘leader’ images in my math of complex math problems the ‘leader’ had been trying to solve for years. Then I gave the ‘leader’ a warning from the highest dimensions known to exist. The days of the ‘leader’ playing games with humans was OVER and if the ‘leader’ didn’t exit the planet the leader would be DESTROYED and it’s ‘soul’ destroyed as well. Basically I had given the ‘leader’ a declaration of WAR that earth was no longer a play ground for ‘aliens’ to play with humans. Was the ‘leader’ a grey? No, the leader was a ‘presence’ that didn’t need a body to commune with telepathically enabled humans as the tribals were. The next day the main tribal person released me and kept my keys from me. When I went out of his jail to walk back to my motel room, I noticed some MIB’s outside waiting for me. I check my pockets and sure enough no keys. I went back into the jail and the native sheriff smiled and gave me my keys and pointed to the back door. I went out the back door and hopped a few backyard fences to stay out of sight of the MIB’s. I got to my Benz and jumped in it and took off. My duffel bag was still in the trunk of the car, I didn’t bring it into motel rooms just in case I had to exit the room quickly. I only bought the bag into rooms when it was time to shower and change clothes. I jumped on the intra-state and notice some MIB’s following me again. So as the sun was setting I went from the outside line with lots of traffic going almost 80 miles an hour to a jug handle to exit the intra-state to head south to go visit El Paso. Due to the glare of the sun set and the traffic and how my fast little Benz made the almost 90 degree turn to exist the road, the MIB’s were lost and would not be able to immediately follow me until they could exit several miles down the road to turn around. I hit the accelerator and cruised down a little country high way going faster than any production car could ever go. Normal cars were lucky to reach 100 or 120 MPH back then. My exotic Benz had no problems reaching over 150 MPH. So after a couple of hours of cruising beyond what any mortals should be able to do I slowed down to around 90 MPH. A special OPS SUV turned onto this little high way near Truth or Consequences New Mexico. They got in front of me and I saw a special OPS soldier try to shoot me. Time froze as the bullet hit my windshield and the next thing I know it’s a couple of hours later and I’m almost in El Paso. I read that day in the papers a plane had crashed near where I had the missing time incident and where I had the experience of soldiers trying to kill me. Upon reflection I came to believe several things. 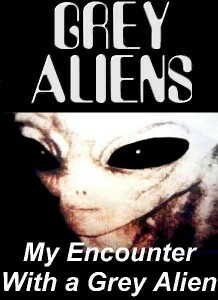 Grey’s are real, MIB’s are real and there’s a whole US Government that was working with ‘aliens’ in New Mexico. The head ‘alien’ was most likely not a typical ‘grey’ but an entity that some Grey’s had side with. So there was a war literally between grey’s. So who was running the 2nd government of the USA that was working with aliens in Tucumcari New Mexico? Les Aspin and his heart exploded with a month of him trying to kill me with special OPS officers in New Mexico. Do I have PROOF of this? I sure do, I was given a check for the pocket cash I had on my when detained in New Mexico right after the Oklahoma City bombing. It was made out to JOHN ESSEN(e), I used the alias of John Essene back then, which was ENESSE backwards, or ENNIS phonetically my birth name. This is the first ‘public’ release of this story about me and Tucumcari New Mexico and the fight over control of this planet. Yep, I had a first hand encounter at a pivotal point in my life. Are there alien greys’? I personally view grey’s as a left over ancient artifact from a great ancient civilization that existed on earth from 24,000 to 10,000 or so BC. They’re a hybrid robot clone is my best estimation of exactly what ‘greys’ are. Some grey’s may have worked as slaves or solider as to the Tucumcari presence which was most likely ‘alien’. However, that presence has vacated the earth and is still running from the forces that can destroy it once and for all. As for me, for over 20 years now I’ve been writing books about new theories in math and physics and many other topics to help humanity remove the shackles of the religious dogma of lies many humans still follow today. Believe what you want, it happened and here is the check from that little Tucumcari New Mexico jail to prove my story is real.